I have a new obsession – Cauliflower bread anything!!! 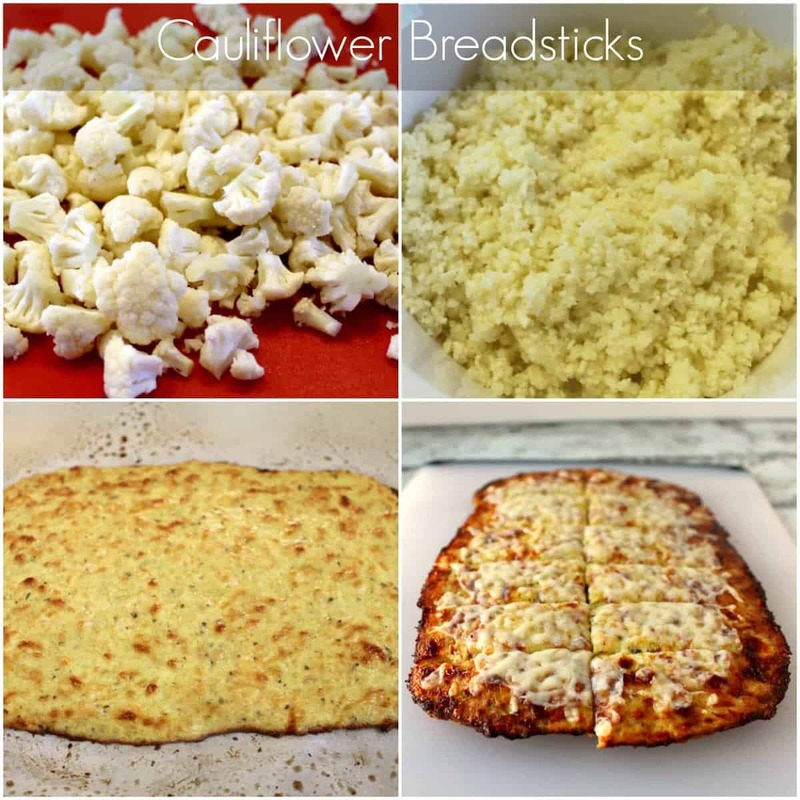 I tried Cauliflower Pizza a few weeks ago and I was totally won over – I couldn’t believe that cauliflower could possibly be made into a convincing bread – boy was I wrong!! I have been just waiting to experiment with making a Cauliflower Breadsticks and I think I have perfected it! 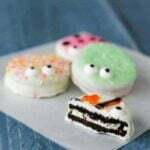 OMG these were so good. I didn’t tell my family that they were cauliflower and they all loved it! I have successfully snuck vegetables into my kids – yay me!!! Place a piece of parchment paper on a cookie sheet and spray it with non-stick butter spray. Cut off the florets of the cauliflower – try to cut off as much of the stem as possible. Place the florets in a food processor and “rice it” – you do this by pulsing the food processor – press the button in short “pulse-like” increments- be very careful not to over process and puree, it won’t be good! 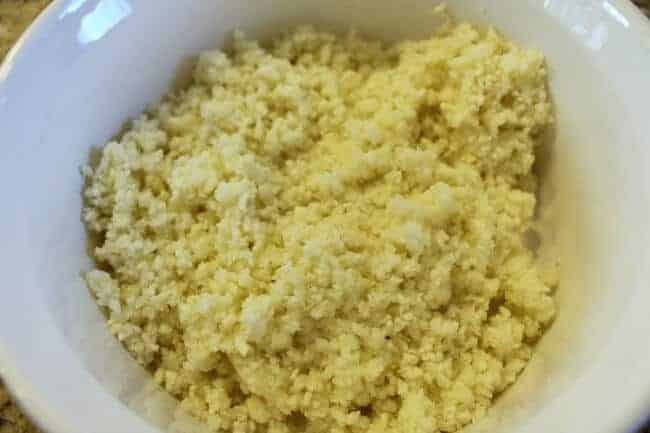 NOTE- my cauliflower head made 2 cups of cauliflower rice. 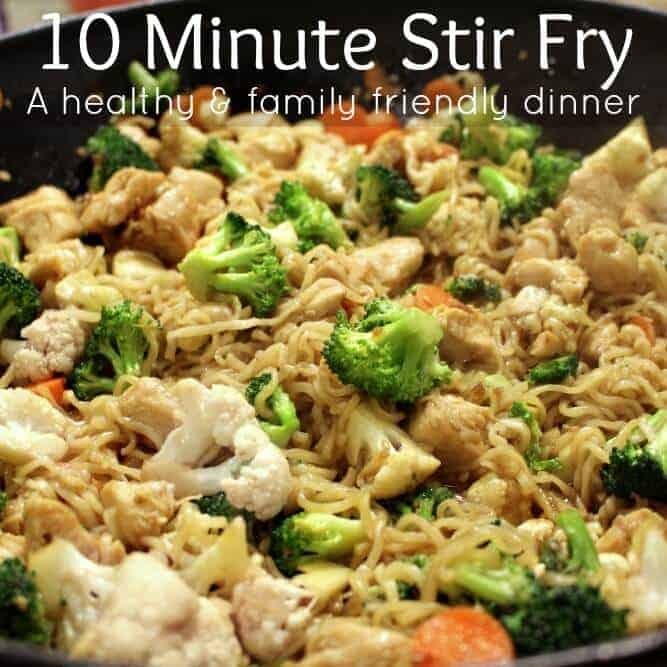 Place the cauliflower in a microwave safe bowl and microwave it for about 8 minutes. NOTE – don’t be surprised, it really shrinks down!! Place the cookie sheet in the oven and bake until the edges start to get golden brown and the middle sets – about 20 minutes. Remove from oven and use a spatula to flip over. (optional) Add some additional mozzarella cheese to top (you won’t regret it) and place back in oven for a few more minutes until cheese is melted. 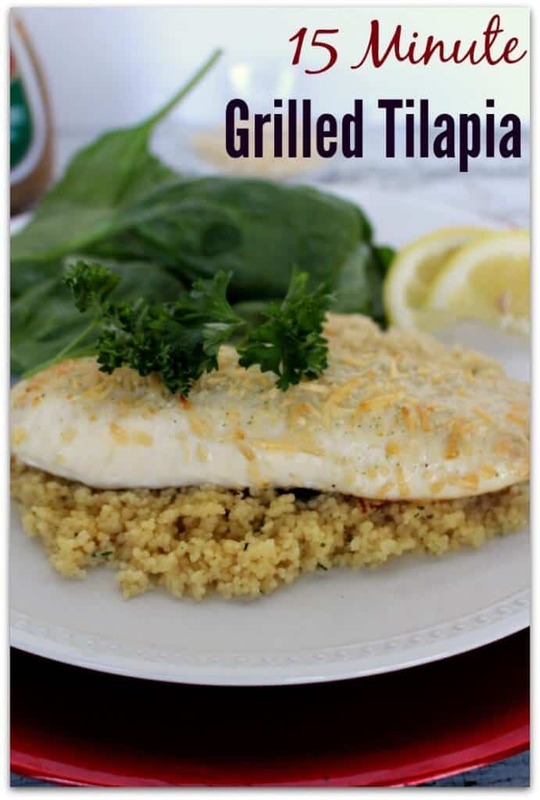 Looking for some other easy meals that your family will love – click on the pictures below! This looks amazing! Cauliflower is one of my favourite vegetables, combine it with cheese and I’m in heaven. 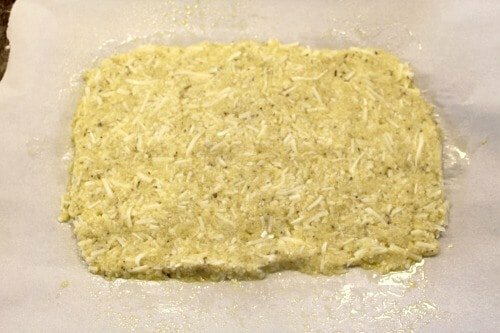 I just wanted to clarify one thing in the recipe: The parmesan goes into the mix and the mozzarella goes on top later? It’s not clear in the instructions. Sorry – actually, I put both cheeses in the mix and then sprinkle some more mozzarella on top. I will clarify in the recipe!!! 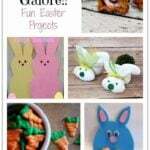 Thanks for the low carb info, I am just getting started and am putting together my recipe file so I can plan my menus. would you have another recommendation other than microwaving the cauliflower? That’s the only way I have made it!